“Twice daily service to and from DC and NY, leaving DC at 7 am and 9:30 am and departing NY at 3:00 pm and 7:00 pm, $90 each way. 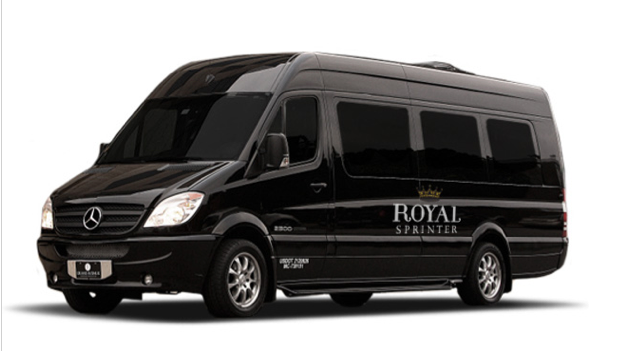 Our Mercedes Sprinter vehicles are custom-designed and built to exact specifications to exude an atmosphere of optimum relaxation and luxury. Each vehicle can host up to eight passengers, allowing for plenty of personal space, privacy and peace. Diamond-quilted black leather seats line the 170-inch extended model on an angle, so that guests have no one directly in front of or behind them. Each seat not only reclines, but also includes leg extensions so that guests can fully unwind. Dark wood colored floors and overhead cabinets highlight the interior, while tinted windows and special lighting further set the tone for a luxurious ride.